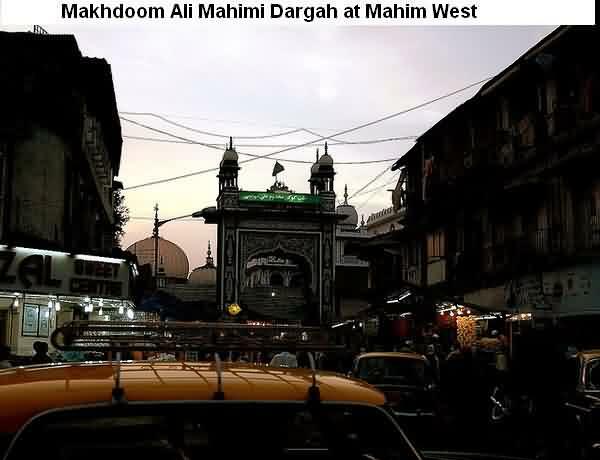 This is the first famous shrine of Mumbai in the name of ‘Makhtum Fakih Ali Paru‘ who was originally from Arab. This mosque is one of the oldest and famous monuments of Mahim, Mumbai. It was created in his name when he died in 1431. Here is an interesting article detailing about Mahim dargah and its festival which is held yearly. Makhtum fakih Ali Paru a Qazi of Mumbai was known for his humanity, intelligence and knowledge about Islam and beautiful writing, he was also appointed as officer of law in Mahim and till date respected by Mumbai Police who are first to offer ‘Chadar’ during Mahim Festival. 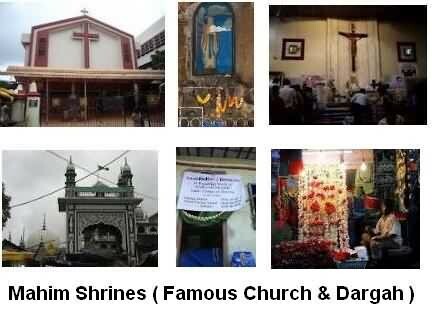 Another famous shrine is the Holy Mahim Church. Its an old and famous church which is located near the sea facing area at Mahim’s bus depot (Now been shifted near railway station upon redevelopment). One of the famous stories (about a decade back, not now) about this church i remember is of the statue of Mother Mary. News was viral and people were talking about the magic that happened in church, Saying Lord Jesus was seen shifting from one hand to other. Really don’t know how true or magical that news was, But yes apart from that, Still this shrine of Mahim attracts regular and occasional visitors and the road facing church has still maintained it original beauty. Recently, This St Michael’s Church made a benchmark by creating Bio-gas from tonnes of flowers offered to church daily. A great example of staying 100% eco-friendly and equally not creating waste by generating energy in the form of Bio-gas that is used in Church kitchen and the balanced slurry liquid that comes out of machine be used as fertilizer. Wednesday is the main day when about 50 thousand people visit and at weekend around 100 kg of flowers are collected. The innovative way of converting flower waste to bio-gas and fertilizer has helped thousands in India go eco-friendly way and Mahim’s church is first of its kind to do so in Mumbai. Mahim Church is located on west side of Mahim railway station in western railway route. Walking distance of 10 minutes straight from station or taxi in minimum fare and your reach this church. Dargah is not very far from this Church towards Matunga station (South direction). You can see the famous in news Mahim Creek (Not an attraction), Not far is Dadar beach. You might also be interested in knowing about Mahim Causeway. Towards north is Bandra which has beautiful promenades like reclamation and Bandstand. For shoppers a must visit is Linking Road. Another very famous Mount Mary church and father Agnel Church adjacent to it.